of office seating. From its inception, the company has pioneered the use of scientifically proven ergonomic principles and award winning design in its chairs And with an extensive network of dealers and sales representatives and enjoys an enviable reputation within the contract furniture industry. their core product lines, the allseating collection, and the nowseating collection. Their manufacturing system conforms to the ISO 9001:2000 standards. 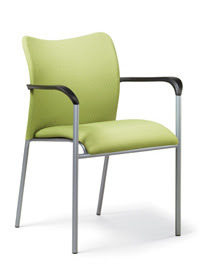 The mission of Allseating is to be the chair expert that makes it simple for their customers to buy seating solutions. The allseating collection features proprietary products that incorporate ergonomic principles, quality workmanship and an attention to detail that their award winning in-house design team consistently delivers. And when value is priority, the nowseating collection includes a vast range of task, conference, managerial and stackable products that meet discerning taste, and limited budget.